In honour of the completion of my thesis novel, I have to tell you about my table cloth. “Really,” I say. It’s an awesome table cloth: red with yellow stripes in its pattern. It’s my Plotting Table Cloth. When it comes to planning out a story, writers use all kinds of tools from scriptwriting software to journal books to index cards. Yes, I pull out scraps of paper, pencil, index cards, and most importantly, my Plotting Table Cloth. The yellow stripes are spaced in such a way that there end up being four divisions on the dining table: Act 1, First part of Act 2, Second part of Act 2, and Act 3. Step 1 – using scraps of paper, I scribble story bits or character bits on a small scrap and place it about where in the story’s timeline I think I’ll want to reveal the information or play out the event. I’m not restricted to A-Z planning, and face it, the creative brain rarely thinks a story completely in order. 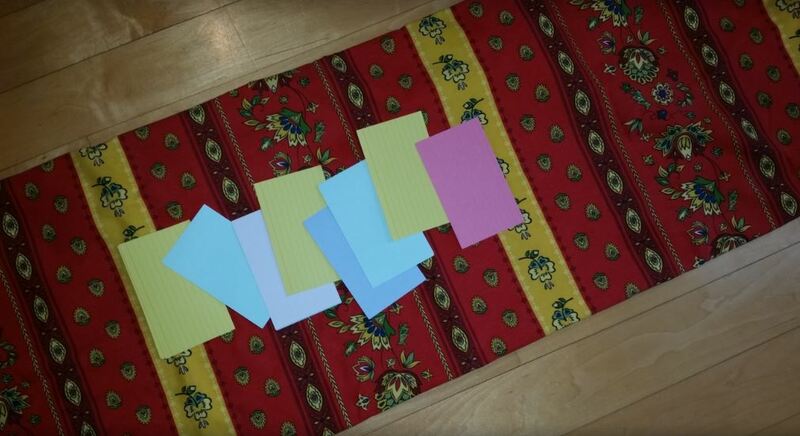 Step 2 – as the many scraps of paper populate the table, I gather than transfer the information to index cards – each card representing a scene. Because the table will be covered in paper scraps, again, I’m not restricted to building scenes in start-to-finish order. I can jump in an hone any part of the story I want. Step 3 – Now I look at the story in order, and bring my analytical brain into action to evaluate and better the entire shape of the story, its characters and events. … and it all started with a table cloth. How do you approach story building? 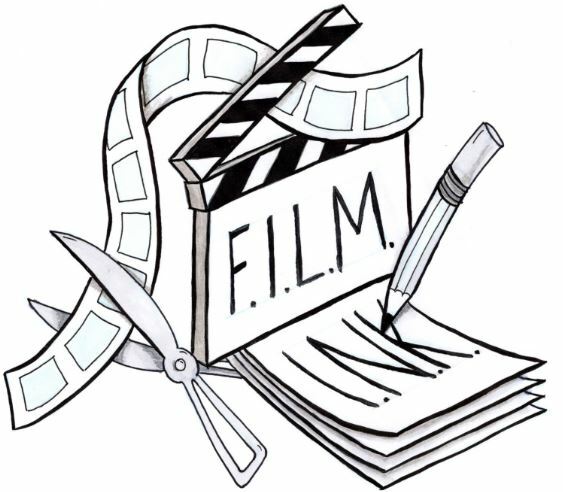 Deb Patz is the author of “Film Production Management 101” and the upcoming “Write! Shoot! Edit! A Complete Guide to Filmmaking for Teens” both published by MWP Books. Her family is very patient when she takes over the dining room table to plan out a story.